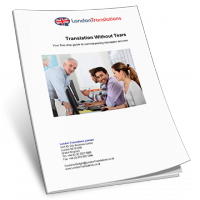 We Pegasus Resources Limited have used London Translations for four very important and urgent pieces of complex legal translation. The speed of the turnaround was superb. The quality of the translation was unquestionable and without fault. Having contacted other translation companies I can also state that London Translations are the most competitive found. The communication is brilliant and we were updated at every point during the process.